With a healthy lifestyle and good skincare habits, the results of cosmetic eyelid surgery can last for years. With the excess, sagging skin gone, your eyes will always look better refreshed and more youthful than they would have without an eyelid lift. Likewise, if you have lower eyelid surgery, those puffy eye bags and sagging skin will be gone. You can keep your eyes looking more youthful by wearing sunscreen daily, becoming or remaining a non-smoker, and practicing good nutrition and health habits. I recommend using sunscreen on the whole face daily (even in the winter). And also wearing a hat and sunglasses whenever you are outside. This will ensure that your results will age naturally with you. Non-surgical treatments, such as Botox and Xeomin, filler injections or skin resurfacing, can also help you touch up your youthful appearance by smoothing wrinkles around the face and eyes. 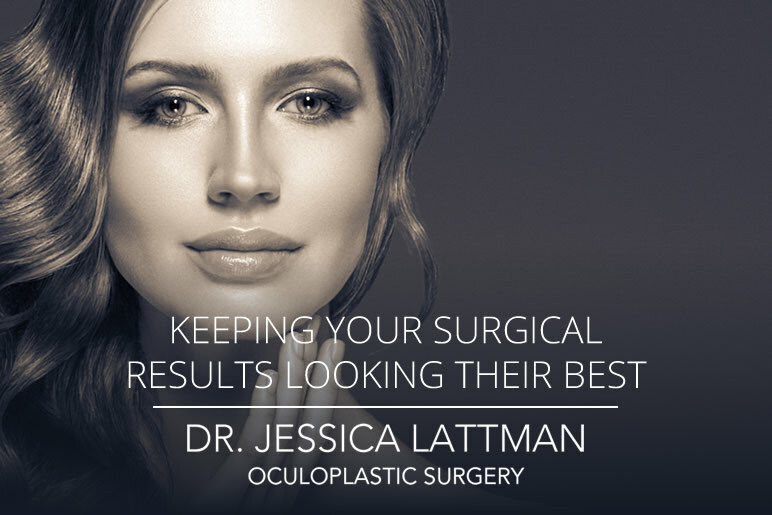 So even before your surgery, we can begin talking about and planning how to keep your results looking their best for the years ahead.